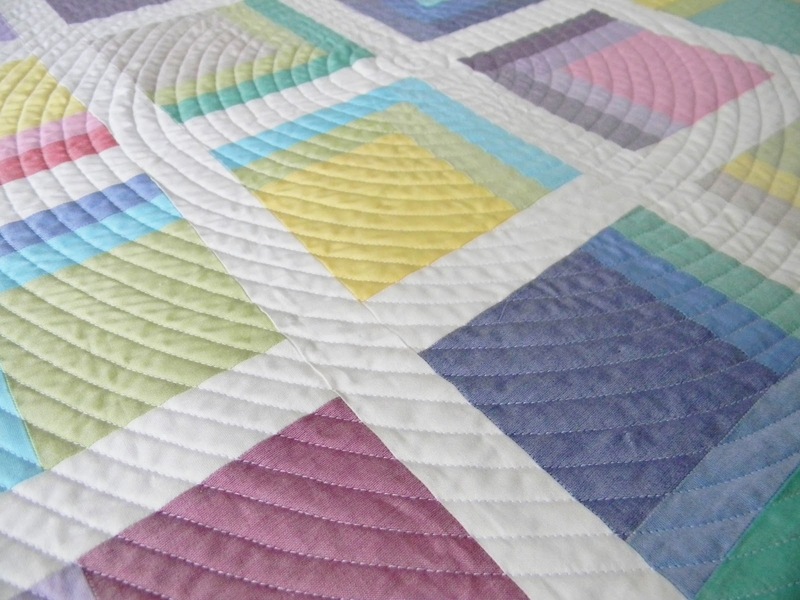 I am excited to be able to share this quilt with you at last. I made Spring Quarter using a fat eighth stack of Oakshott Impressions. 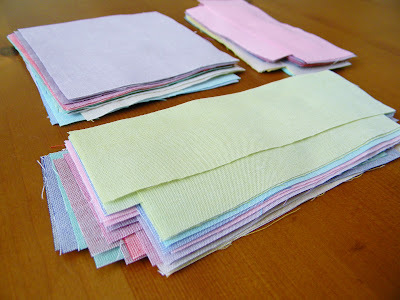 The colors are just lovely, each woven with a white thread. 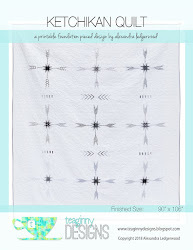 The way the fabrics are woven gives them shimmer and depth. 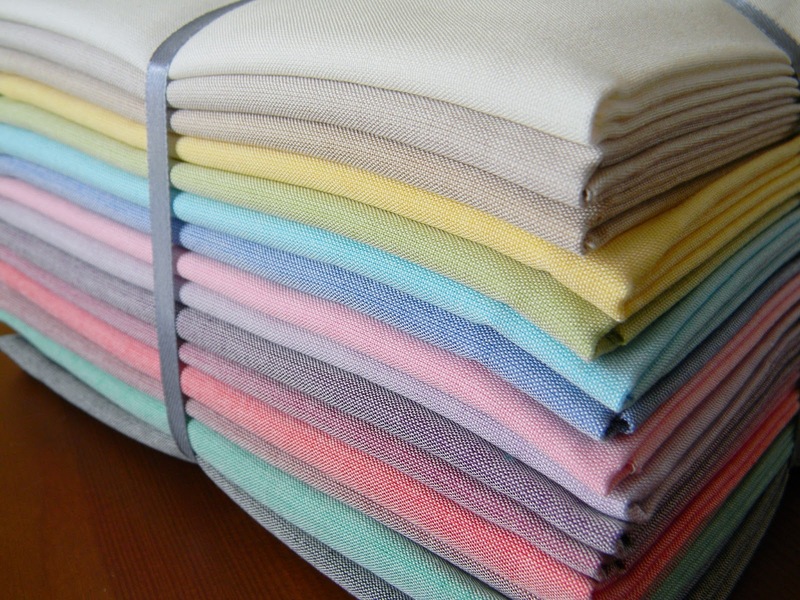 I can't say enough about them really, and the fact that Oakshott is a family business that produces quality fabric in an ethical way makes me extra proud to work with them on a few patterns. 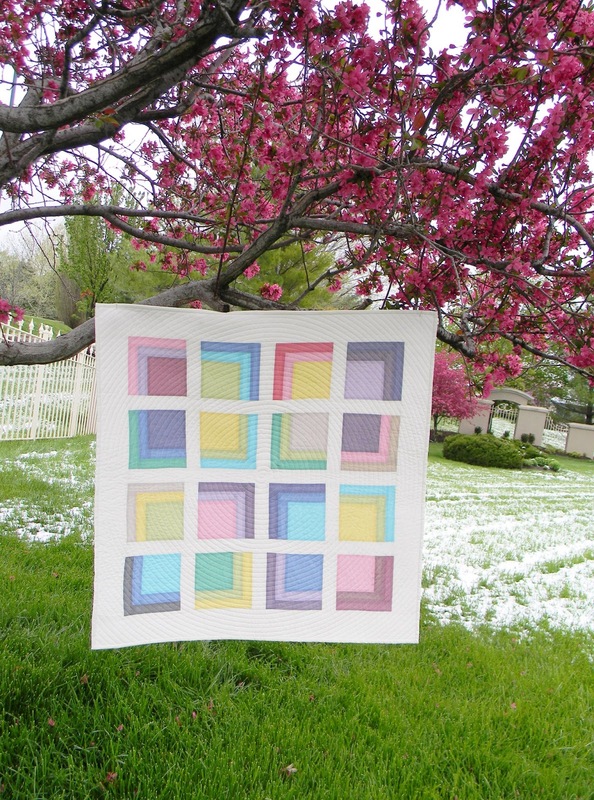 Spring Quarter is a beginner-friendly pattern made of quarter log cabin blocks. 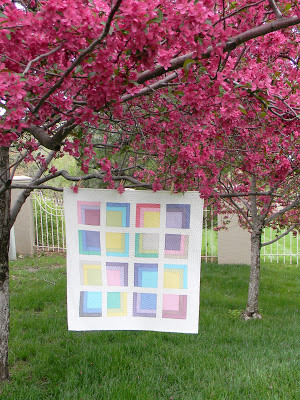 You may recognize the pattern from a baby quilt I made earlier which is available here. These colors change it so much! I chose a spiral pattern for the quilting, which contrasts with all the sharp angles. I'm happy to share the pattern for this simple quilt. It includes instructions to make the quilt in two sizes: the 34 x 34 baby quilt/wall hanging shown here, as well as a 50 x 65 throw sized version. The step by step instructions include digital illustrations. You can download the free pattern here. 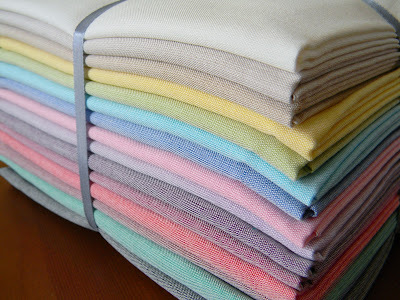 One more piece of good news is that you can now purchase Oakshott fabrics from Marmalade Fabrics. 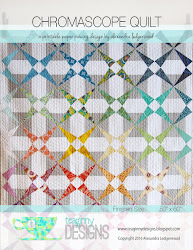 Tammy has the Impressions fat eighth bundle as well as some other really gorgeous color ways. The one called Water is calling to me. As always, I would love to see what you make. 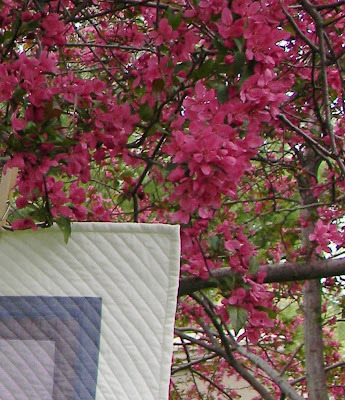 Add your own Spring Quarter photos or anything else you've made from teaginny patterns or tutorials to the Flickr group. It's a small group now, so your work will be front and center! Just a few announcements on the blog today. First, and most exciting, I'm so pleased to share that I am one of Empty Bobbin's new licenced designers. 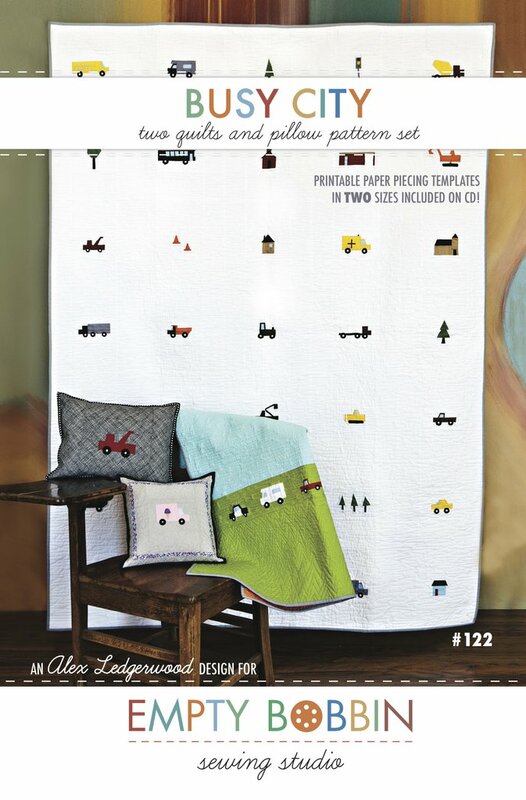 My first pattern will be coming out very soon, and I can't wait to show it to you and hold it in my hands. Shea's patterns are all meticulously written, tested, edited, photographed, and printed, so this will be top of the line in every way! My pattern will have a special feature, new to Empty Bobbin, that you're going to love. And did you see the other names on the list? Sheesh. I'm honored to be named one of such a talented group. The other piece of news is my new blog header, etc by my favorite illustrator Lauren Hunt. Thanks Aunt June! Keep your eyes on her blog; tons of cool stuff coming out soon. 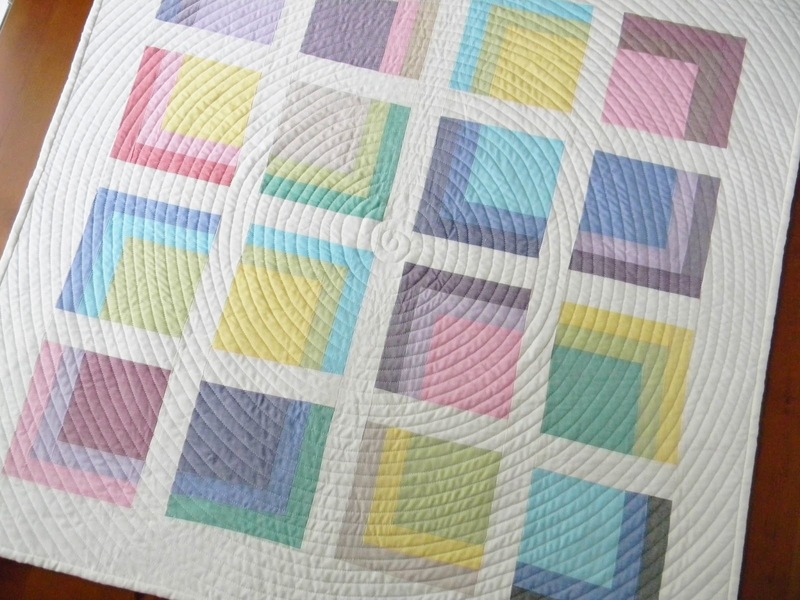 And here is a sneak peek of the quilt I made with Oakshott Impressions. 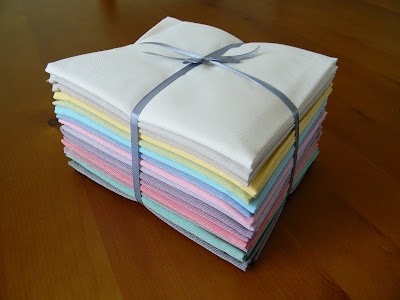 I am just working on a local source for the fabric, and I'll have the free pattern for you. 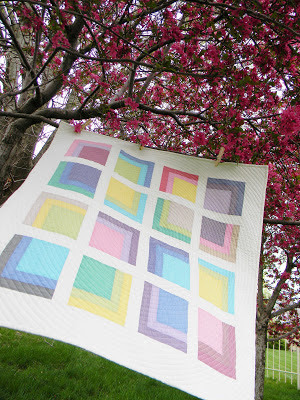 And speaking of my patterns, I created a teaginny designs Flickr group. 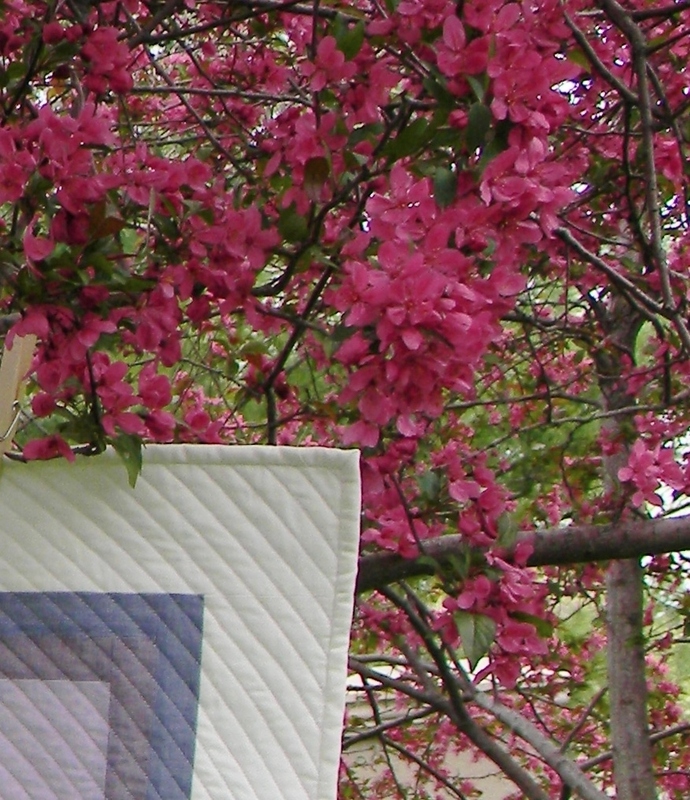 It is a place to share photos of things you have made from my patterns and tutorials. Items inspired by things I've made are also more than welcome. It definitely makes my day to see what you make! So this lovely bundle came in the mail all the way from England. 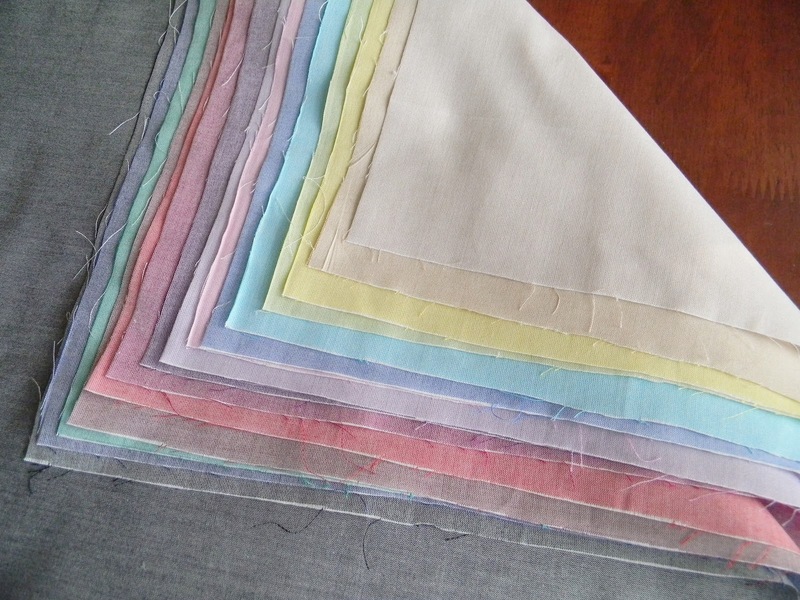 Oakshott fabrics makes this bundle, called Impressions. The fabrics are shot cotton, meaning two different colored threads are woven together which gives the fabric a shimmer and depth of color that changes slightly depending on the angle you're look at it. 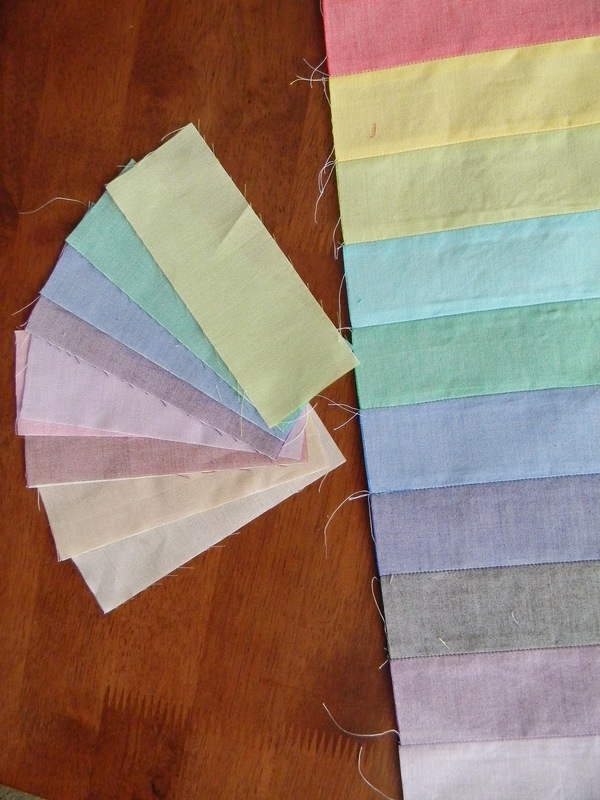 I particularly like that Oakshott bundles fabrics that have a single thread color in common. This bundle is a lovely progression of rainbow colors, each color woven with a white thread. They have other bundles done with black and red. These are just so perfect for spring! I'm working on a project for Oakshott. The pattern will be ready soon. Can't wait to show you more.